Nairobi (ICRC) – Flooding in Beletweyne, Somalia has displaced tens of thousands of people who are now in need of food and safe drinking water. 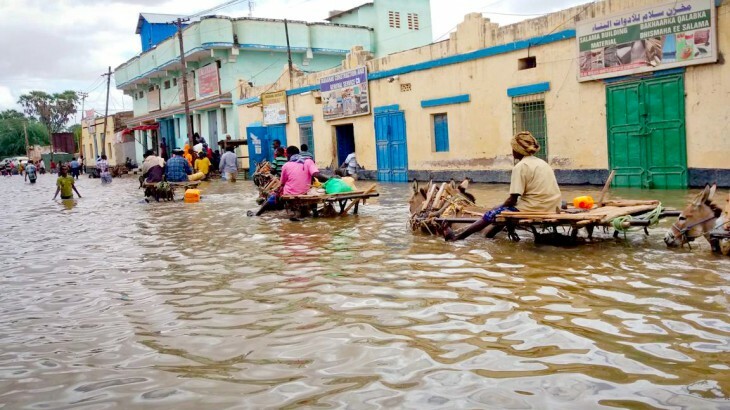 The International Committee of the Red Cross (ICRC) and the Somali Red Crescent Society (SRCS) are distributing emergency assistance to more than 30,000 people to alleviate the effects of the flood. The ICRC and SRCS carried out a five-day distribution this week of rice, oil, beans, and mosquito nets. Approximately 100,000 aqua tabs were distributed with each family receiving 20 tablets, enough to last them for one month. One tablet can purify 20 litres of drinking water. Beletweyne hosts 31,000 displaced people, the majority of whom have fled conflict in the neighboring districts of Jalalqsi and Bulle Burte. The residents who live in a low-lying areas have moved to higher ground in El Jaale, five kilometres from Beletweyne.